Whether you need a special-size door, special mounting options, a non-standard panel configuration, or an unusual veneer, Karona will work with you to achieve precisely the appearance and performance you need. Karona manufacturers commercial doors that meet all local fire-rating codes. 20, 45, and 90 minute positive- or negative-pressure ratings are available. 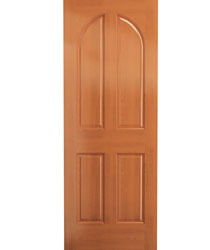 Fire Jambs for your fire doors are also available.